Associate Professor of Psychological Science Dr. Linda Jones and Assistant Professor of Neuroscience Dr. Carole Scherling organized two high school summer camps on campus during the weeks of June 18 and July 2, along with help from colleagues Dr. Patrick Morse (psychology), Dr. Timothy Schoenfeld (psychology) and Dr. Lori McGrew (biology). Students who attended were part of the National Student Leadership Conference (NSLC). 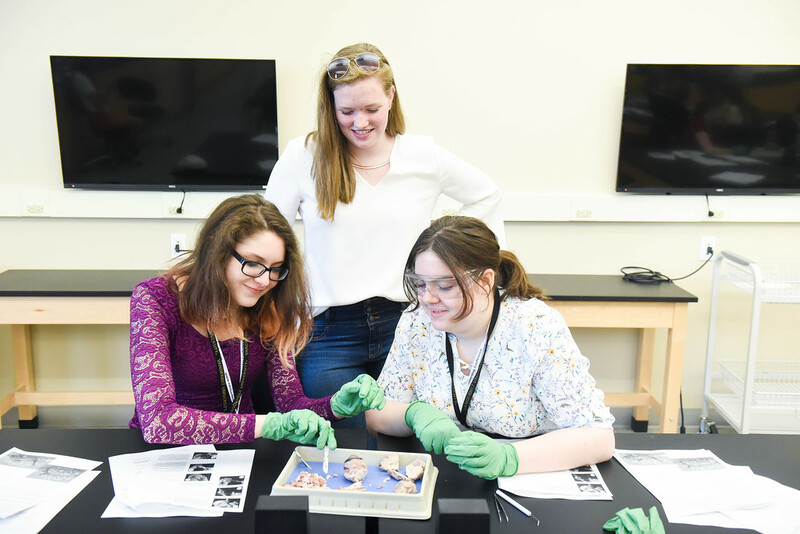 While on campus for four days, the students learned about the basic building blocks of the brain, conducted their own dissections (brain and eye), toured laboratory facilities and completed a series of activities geared to engage them and to give them a sweeping view of neuroscience and psychology.